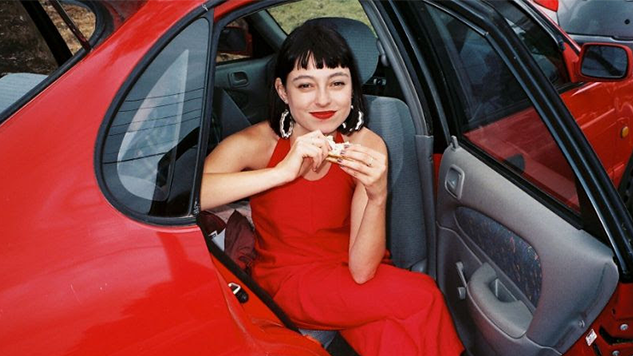 Watch the Playful Video for Stella Donnelly's Latest Single "Tricks"
It’s a sunny single with an appropriately summery video to match. Directed by Nick McKk and Julia Jacklin (who recently played songs off her latest record Crushing in the Paste Studio), the camera follows Donnelly as she dances through Melbourne and disdainfully regards the flannel-clad douche-bro following her around the city’s lush streets. He’s a literal embodiment of the “racist Australian pride” the video’s accompanying press release says the track pokes fun at. Honestly, we’d be happy to have her play anything on repeat. Watch the video for “Tricks” below and see when Donnelly’s playing in a town near you here.